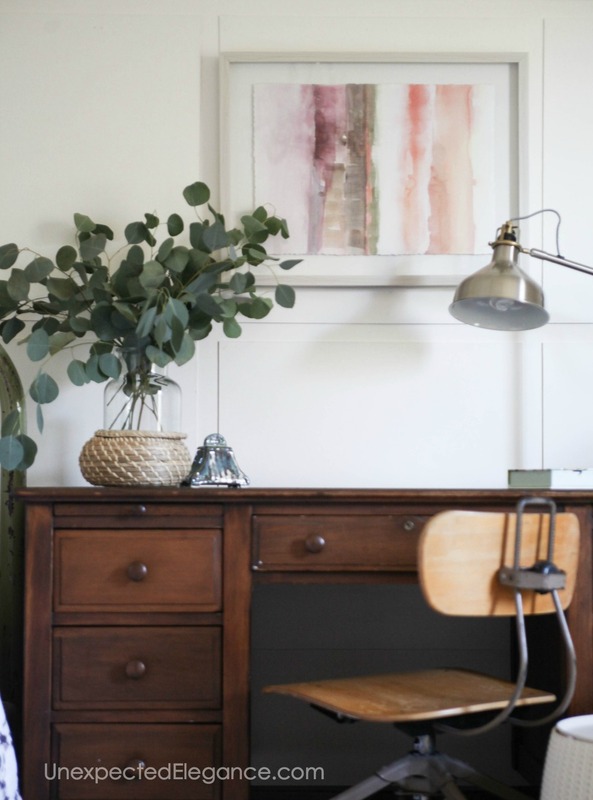 5 Ways to Get The Most Out Of Your Decorating Budget Today! Do you struggle to get the look you want within your budget? 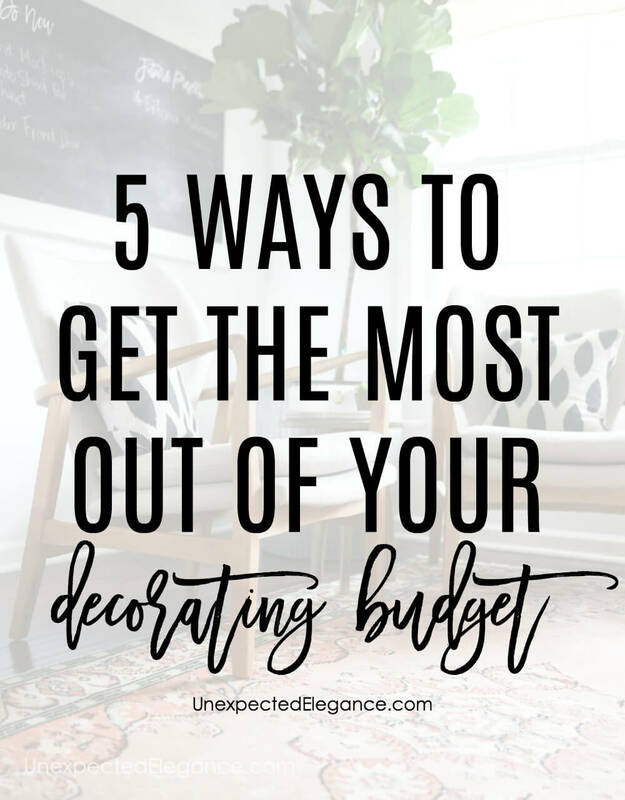 Check out these 5 ways to get the most out of your decorating budget. Do-it-yourself decorating is THE best way to get the most out of your home-improvement budget. Instead of spending a fortune, use time, energy and your imagination to give your home an inexpensive makeover. You really don’t even need to be handy with tools to get the results you want. When I first started learning how to make things I would ask for help at hardware stores, fabric shops, and the local D0-IT Center—they are more than willing to help you if you just ask. Lighting is a huge part of a space and is often times overlooked. Changing an overhead light might not be in your budget, but inexpensive lamps can make a big impact. Lamps bring interest and provide ambient lighting in the evening. You can also find a great selection at most thrift store. Think outside the box…paint the base a coordinating color or replacing the shade with an updated look. Who says your living room has to have a sofa or your dining room has to have a traditional table? 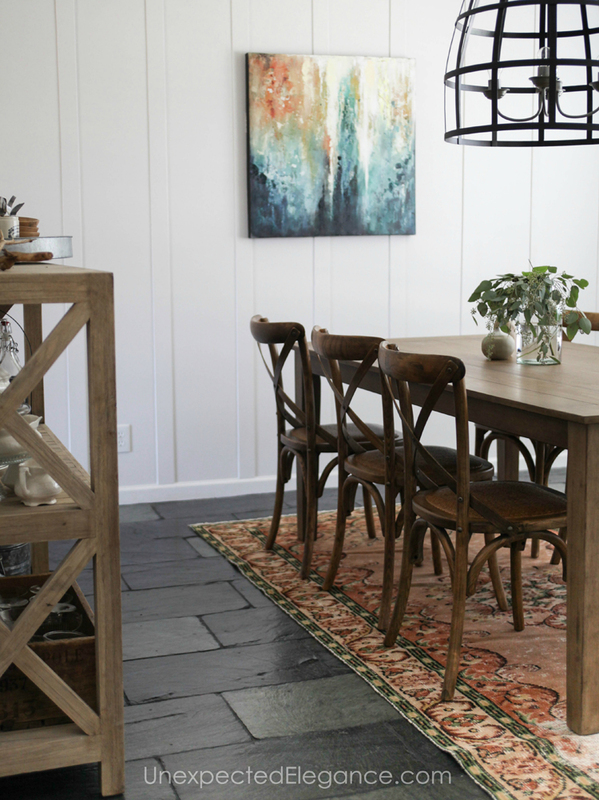 Skip the sofa or find a unique dining room table to help save money. You can use a grouping of larger chairs instead of a sofa or purchase an inexpensive picnic table and benches to use as a dining room table. Creativity is key to saving money! I’ve made a few tables to get the look I wanted within my budget and I love how they turned out. 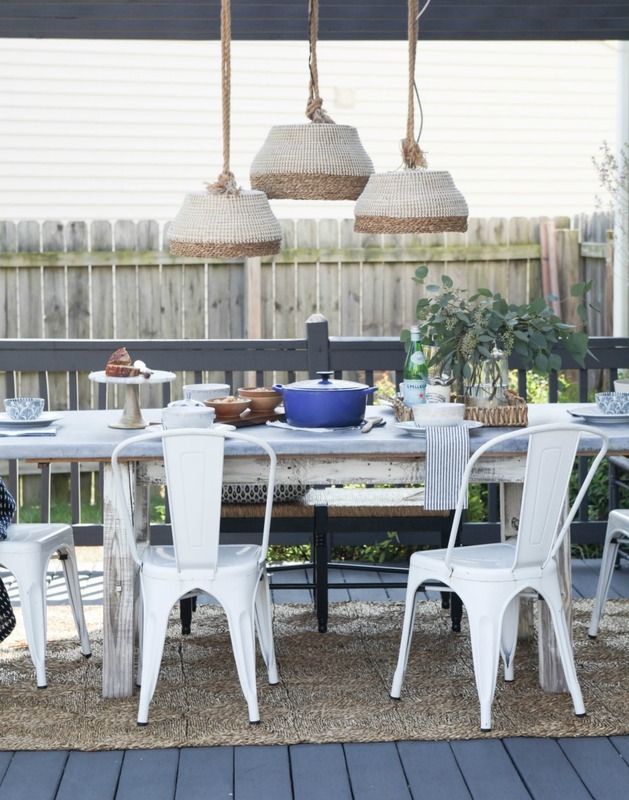 My zinc table was a little more technical but my outdoor table was pretty simple and would make a great dining table. You probably already knew that paint is the number one way to save money. This concept has been around for ages, but it’s the best way you can get more bang for your buck. You can change the color of furniture pieces by simply painting them a different color (you can even paint the fabric!). 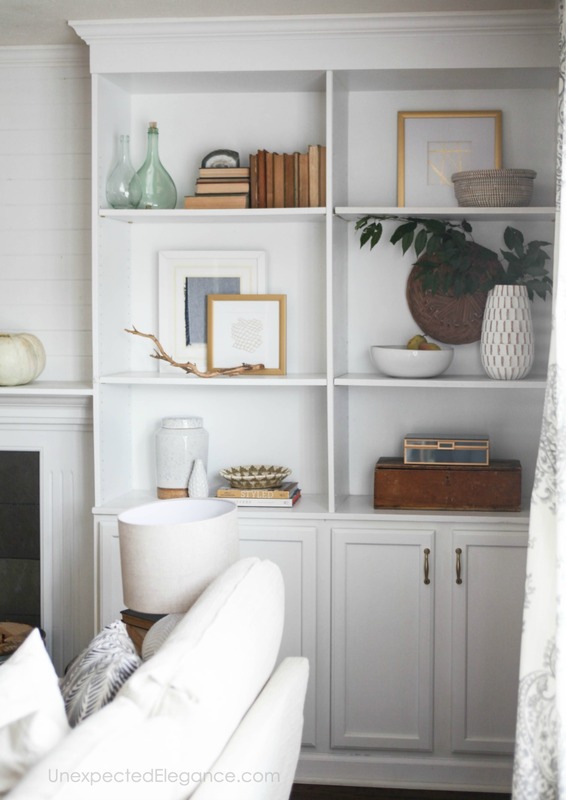 A neutral color on the wall will give you so much flexibility in making easy changes to a space. A light gray, white or even a dark gray can give the neutral pallet you need for any type of furniture and decor. Check out the difference it made in my hall! 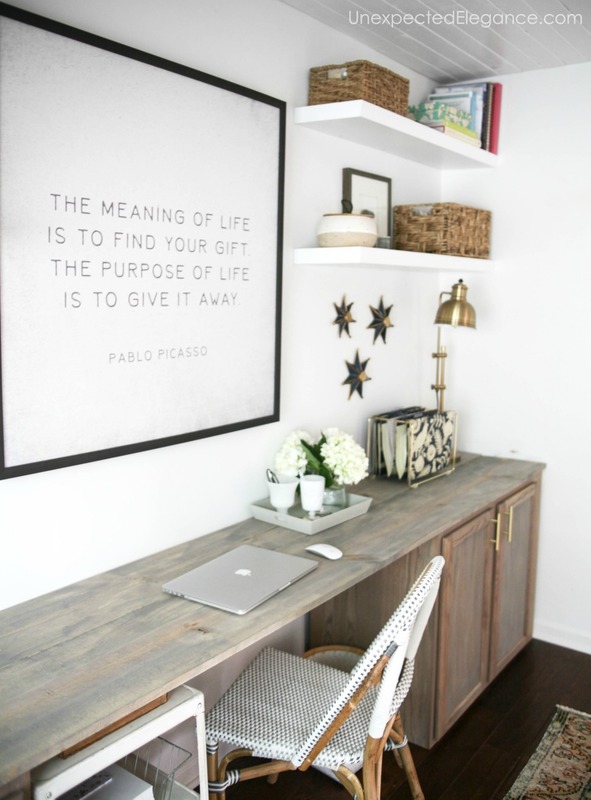 My guess is that you have some type of collection…you might not even realize it! Think about items that are smaller, you have multiples of and love. Gather those items together and display them as a group. If you cluster smaller items together, it will give you a bigger impact. Using an odd number is also more pleasing to the eye. Flooring is the hardest and most expensive thing to change in a room. Rugs can help solve this problem! You can layer them or purchase very large ones to cover most of the flooring. Rugs can vary in price but there are many inexpensive options. Jute rugs are very inexpensive and add some texture. DON’T BE AFRAID TO PUT A RUG OVER CARPET! You don’t have to spend a fortune to decorate your home. Use your imagination and you might find that you have a knack for creating useful and beautiful décor for your home…while still stay within your limited budget. I have to say that I love what you said about doing things yourself when the budget is tight. I have been on a very tight budget these last few years, but just recently things are going really well for me. I notice even now that I have the money to do a lot more when it comes to furniture, I still rather making things myself! It has become something of a hobby for me. I love the floor in your dining room- What is it? Slate? Wood? I cannot see clearly. Thank you! It’s slate that the previous homeowner installed. We are pretty sure they are roofing tiles.